Valley Meeting contributes to/works with the following organizations in our community. Click on the logo or name and you will be taken to their pages in a new window. Tracey Dolan, Valley member, working with her sister, Polly Dolan, built a girls secondary boarding school in Tanzania. More and more research outlines the importance of educating girls --especially in developing countries as a key to eradicating poverty and improving the lives of all. The Center on Conscience & War's mission is to defend and extend the rights of conscientious objectors, and to support all those who question participation in war. ACLAMO Family Centers (over 30 yrs old) is a community service agency whose mission is to promote improved access to economic, educational, health, social and cultural resources and opportunities for low-income residents of Montgomery County, especially those of Spanish-speaking background living in Norristown and Pottstown. ACLAMO Family Centers remains the only full-service bilingual (Spanish/English) community human service agency in Montgomery County. Heifer works with communities to end hunger and poverty and care for the earth. Since 1944, Heifer has helped 85 million families and beyond in over 125 countries move toward greater self-reliance through the gift of livestock and training in environmentally sound agriculture. The impact of each initial gift is multiplied as recipients agree to "pass on the gift" by giving one or more of their animal's offspring to another in need. Located in West Chester, Friends Association for Care and Protection of Children provides emergency family shelter, transitional housing, specialized foster care and adoption services. In 1987, two Sisters of St. Francis sought to address the needs of homeless families. The Sisters established the shelter as a non-profit organization governed by a volunteer Advisory Board. The International Rescue Committee responds to the world's worst humanitarian crises and helps people whose lives and livlihoods are shattered by conflict and disaster to survive, recover, and gain control of their future. 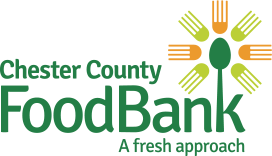 We are the central location for local agencies,such as food cupboards, that serve the hungry & food insecure of Chester County. FLITE's overall purpose is to help to assure the continuation of educational excellence for all public school children in Tredyffrin and Easttown Townships. First Place is a mission project of Ardmore Presbyterian Church in Ardmore, Pennsylvania. We are excited to welcome refugees and asylum seekers and provide them with transitional housing while they prepare to settle into permanent housing.